Are you looking for something different to try in your classroom? How about a reward for your students? Maybe it's just a gloomy day, and you need to brighten things up. If any (all) of these apply to you, then I recommend trying Flashlight Fridays (or any other day but it won't have the same ring to it). This is the time to give all of your students a flashlight and a task. This could be reading a book, writing a story, completing math problems, etc. (Your imagination is the only limit.) Once students have their flashlights and task, they spread around the room. You shut the lights off and enjoy the quiet! It's amazing how lights off equals quiet students. Your students will be motivated to complete their assignment because they want to keep the lights off as long as possible. Side note: I love to play a fireplace video on my Promethean board during this time. It makes everything cozier. Flashlights can add up in cost. Here are some cost effective ways to get them. * Amazon (Disclaimer: The pics are affiliate links. If you buy anything through these links, I earn a small commission.) Overall, both of these sets are reasonable in price. The problem is that if you buy EVERYTHING you want for your classroom, you will go broke. You may want to reconsider Donors Choose! I am partial to the finger lights on the left. They take up very little storage space. * Harbor Freight - If you have one of these stores nearby, check your local paper for coupons. I got most of my flashlights from here (they look like the larger Amazon ones above). The coupons I have used are mostly No Purchase necessary. This is a time consuming way to get the flashlights since there is a limit of one per day, but free is free! 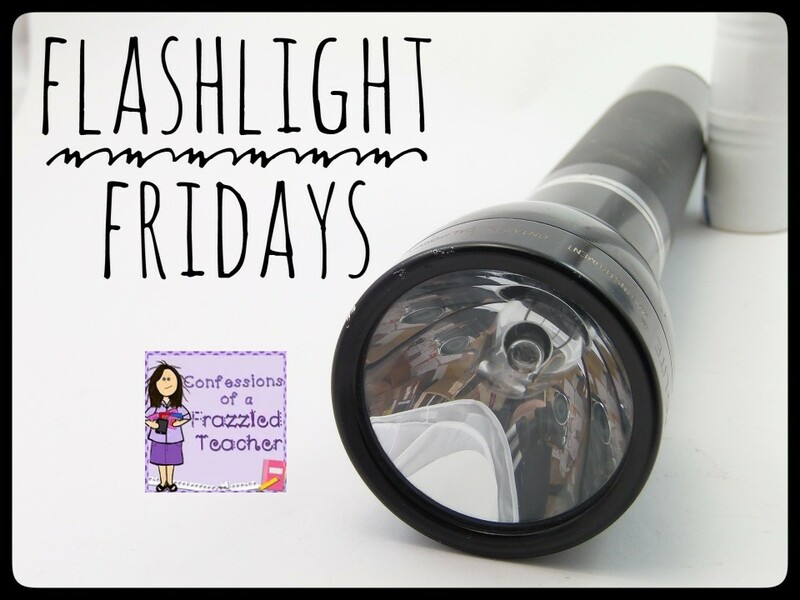 I hope you try Flashlight Fridays in your classroom! Let me know if you have tried it. What do you think?